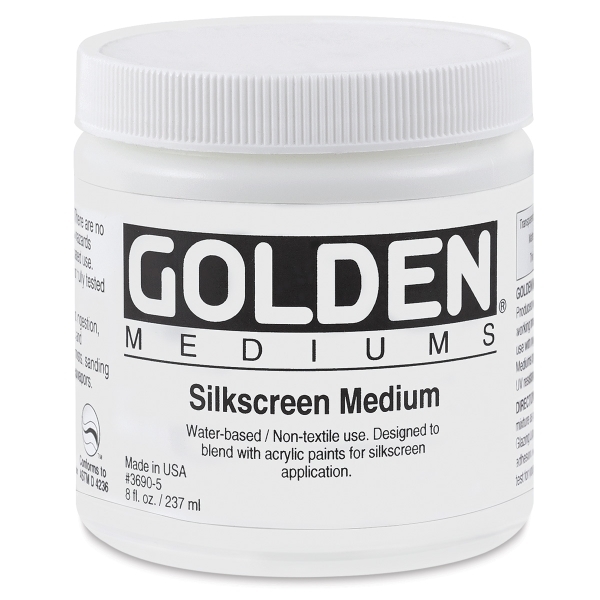 Golden's Silkscreen Medium is a waterborne system designed to blend with Golden Acrylic colors for silkscreen application. 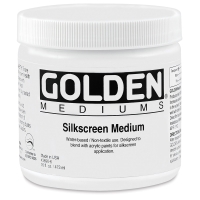 It increases the working time and retards paint from drying in the screen. 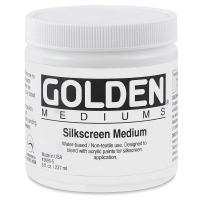 Silkscreen Medium — A waterborne system designed to blend with Golden Acrylic colors for silkscreen application. 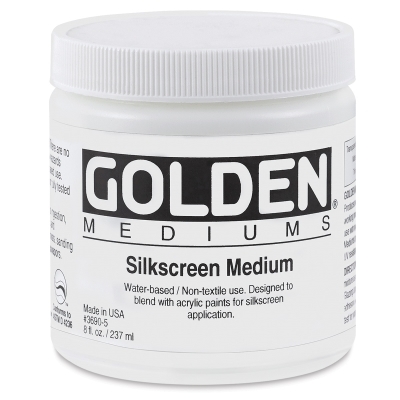 It increases the working time and retards paint from drying in the screen.